Informational interviews can be a great way to get a foot in the door at a company you’re targeting or in a field that inspires you. Many of our high-achieving clients use informational interviews as part of an accelerated networking strategy to generate interviews and job offers. Check out this case study to see how our clients land great opportunities through informational interviews. Becoming proficient in scheduling and conducting informational interviews is a powerful skill you can use your entire career to avoid the hassle of online applications. 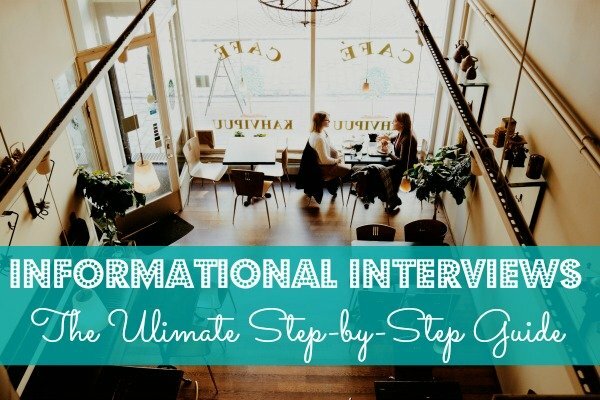 Here is everything you need to know about how informational interviews work. An informational interview is a meeting between two people – typically a job seeker and someone in the job seeker’s target industry/company. This meeting provides an opportunity for the job seeker to establish or form a connection with a strategic contact for possible hire in the future and to gain industry knowledge and advice about a possible future in the field. The job seeker will not be asking for a job at this meeting. Rather, they will be creating an engaging Q&A discussion so that the target contact feels at ease. 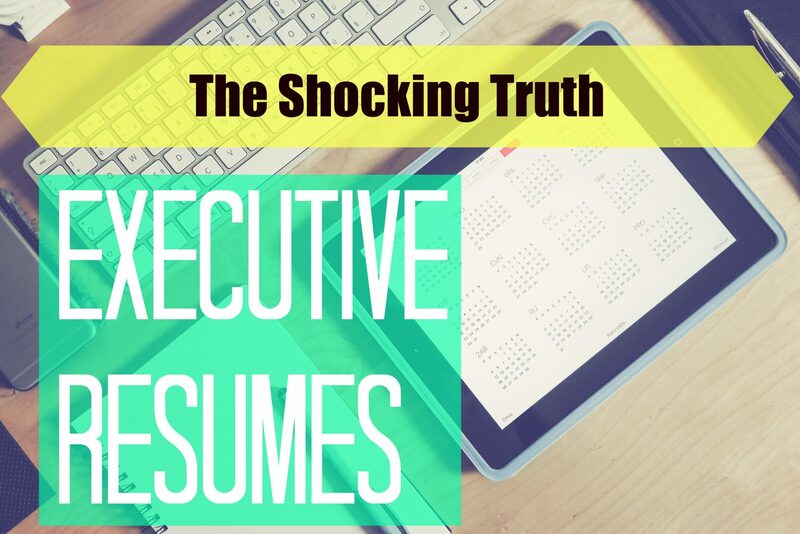 At no point will the job seeker ask for a job or share a resume (leave your resume at home). It’s important that the target contact feels no pressure to help with the job search, even though that might be the job seeker’s underlying objective. The key here is: building a relationship so that your target contact leaves the meeting with a sense of your authentic interest in the target industry. If the target contact feels the conversation was around authentic information-gathering he/she will be more inclined to share more key contacts at the end of the meeting in order to help in your career endeavors. This sit-down meeting is a good method for professionals at every career level. For recent graduates, this meeting can help to figure out if the real-world aspects of the job align with the studies they loved in school. For a professional who has been employed for much longer, and looking to change fields, these meetings can help one discover if this is really a good decision. One of your main goals in conducting informational interviews should be to discover whether or not a particular field, profession or company are a good fit. Before you head into this meeting you will want to spend some time clarifying your focus with some of these questions. In addition to self-discovery and finding your fit, these meetings are great for networking and finding more contacts so you can build a strategic networking roadmap. Informational interviews are also powerful for gaining insider industry insight for later use in the actual interview. Informational interviews are usually more casual than a formal interview and both parties feel less pressure; the interviewer isn’t pressured to fill a position and you’re not openly campaigning or competing for a job. I landed my first job out of college from an informational interview. I happened to meet the Editor in Chief at a cocktail party and told her I wanted to come in and talk about the magazine, just because I was interested in the field. I actually walked into the office wearing old summer pants and sandals. We sat down and started talking about magazines. She must have enjoyed the conversation because she told me that a spot had just opened up. So she sent me in to talk to my future boss, the Managing Editor. Since you are the person requesting the meeting, you will also be the person leading the meeting in Q&A format. You don’t want to come to this meeting with guns blazing like you might in a regular interview, but you do want to come across as knowledgeable. Preparation will be key in creating an engaging conversation with your target contact. Specifically, you’ll want to prepare a list of questions well in advance. If you make an appointment for an informational interview, you should be prepared for interview-like questions and for the interviewer to treat it like a regular interview, even if you didn’t mean to. Here are 50 informational interview questions to prepare. You never know how the conversation might turn; his/her next meeting might get canceled – you’re getting along well – and the next thing you know you’re filling out Human Resources forms. Also, you don’t know what happened the day before or the month before at the company—circumstances can change overnight. Be prepared for the meeting to take any number of directions. Therefore, prior research is critical. You don’t necessarily have to know how the company is trading on Nasdaq, but you should do a little research before you go. Check out the company website and Google the company name to read any articles about it. Get to know the players (the leaders). Read about any recent deals or other news and be prepared to discuss it. Don’t be afraid to proactively bring it up. This could give you an advantage over other applicants they might have on file and it could make you look very impressive. If you know the products or services of the competition and how the company you’re talking to could compete or beat the competition, that shows real interest. At the very least, it will show the interviewer that you know the industry and have been thinking about the company’s place in the market. If there are no job openings at the moment at your target company, you’ll still want to find out as much as you can about the inner workings. Then you can go elsewhere, like the competition, and compare. 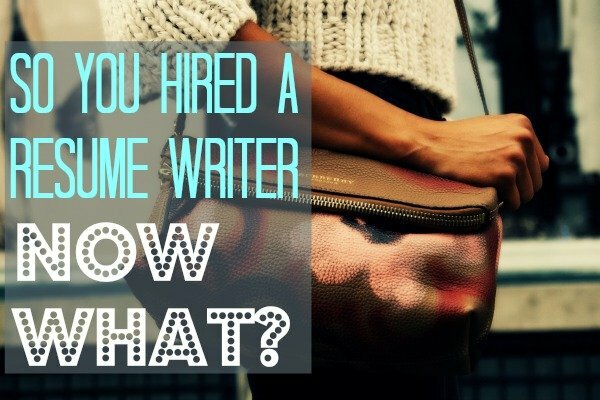 If the interviewer suggests an interesting read, write it down and read it. If the interviewer suggests you attend a specific meeting, event, or convention, if you’re able, do it. Follow the advice, if not in person, then through social media or through the event sponsor’s website. 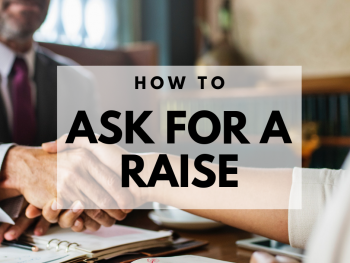 You’ll want to circle back on this with your target contact at a future date to demonstrate your genuine interest and appreciation of their guidance. Fitting in with a company’s culture is an important consideration by hiring managers. They want to know if the person they are hiring is going to be easy to work with. When you walk from reception to the interview, look around you. Are there rows of cubicles? Can you see people playing Ping-Pong in a game room? Is music playing or is everyone silent? Are people walking around and interacting or is everyone on headphones working silently? Feel free to bring up and discuss in the interview what you observed—just avoid criticizing or suggesting changes. 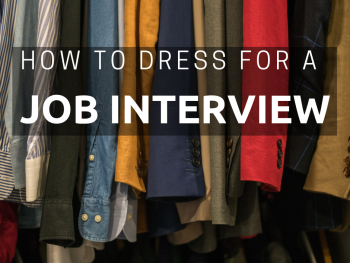 Dressing for an informational interview is tricky. You don’t necessarily want to wear a suit—that screams formal interview and the first thing the interviewer will probably say is, “You know we’re not hiring now, right?” The safe bet is to wear something business casual like nice pants and a nice top (for both men and women). Another trick is to plan a real interview with another company either before or after this one so you’ll be in a business suit anyway. Just let the interviewer know this. Here are some timeless business casual wardrobe recommendations for women. Be prepared to reschedule this meeting a few times before you actually get in; the interviewer is providing this meeting as a courtesy and may not have a lot of extra time. Informational interviews tend to be casual and informal. Don’t request too much time – 20 minutes is sufficient if it falls on you to make the suggestion. Whatever time you commit to, be sure to avoid going over. 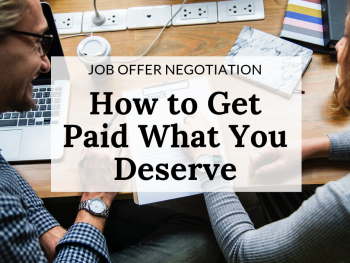 The interviewer is being generous with their time and you won’t want to abuse that generosity. A thank you note is critical here — it could make the difference between a company remembering you and forgetting you. When you go into an informational interview, the company is not necessarily hiring at the moment. So if you are still interested in the company after the meeting, you’ll want to stay active on the company’s radar. To do this, get a business card from every person you speak to and then send a thank you note to each. After all they were quite generous with their time. If you’re not sure about what to include in your note, here is our recommendation on post-interview thank you’s. In addition to your thank you notes, you’ll also want to send follow up notes to appropriate people, maybe the person who interviewed you and your potential boss if they are different people. Send notes every few months so your name stays fresh in their minds. The follow-up notes should contain some news or some kind of update to something you discussed while you were there. Let the company know you are still interested and you still think about your visit. If someone shared contacts with you, you MUST circle back and let them know once you’ve followed up with the new contact as well as the status. Did you schedule a meeting with the shared contact? What was the outcome? Did they provide more valuable contacts? Did it result in an interview? A new insight? All of this is a subtle way to communicate that you do what you say you’ll do, you’re serious about getting into this industry and your initial contact’s shared contact is appreciated. Informational interviewing can sometimes feel repetitive or fruitless but it does work as we see with our clients. The key is to be patient and persist. Your target company may not be hiring today but that doesn’t mean they won’t be hiring for someone like you in the future. Timing is a big part of the job search so allow timing to take its toll and stay committed to the process. Informational interviews rarely produce immediate results so start your interviewing the minute you start to feel dissatisfied in your job or even sooner if you can! As with all things in your job search and career management: don’t wait until you are unemployed or desperate. Need help networking or maneuvering your job search? 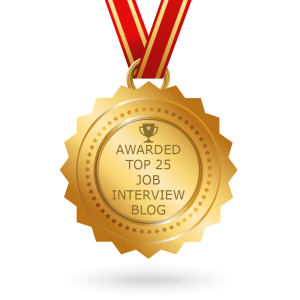 Check out Noelle’s job search coaching services here!